Relaxation and calm are necessary for our day-to-day wellbeing. Being able to relax body and mind helps to recharge the batteries and gives us the energy we need to gather strength. 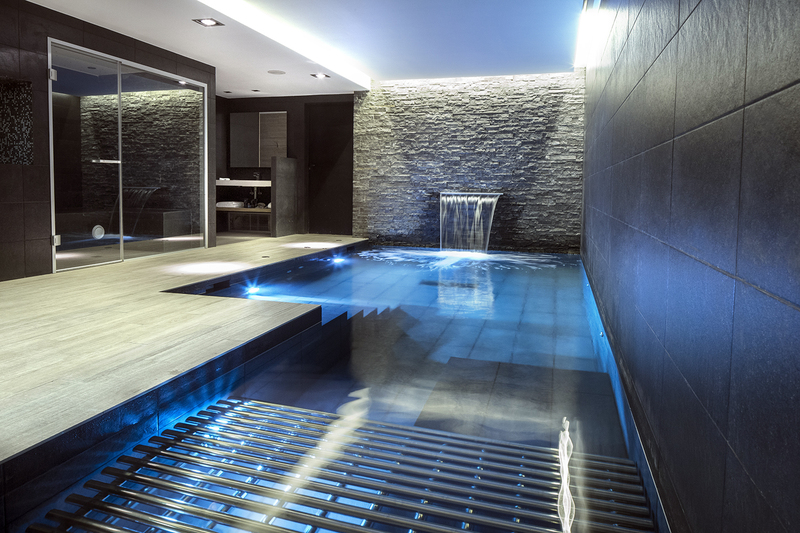 The new Spa concept lets you enjoy hydrotherapy treatments at home. Its physical and psychological benefits help activate the immune system by raising the metabolism and improving muscle pain, as well as toning up the skin or fighting stress. At NEDA we help you find a Spa that’s right for you. 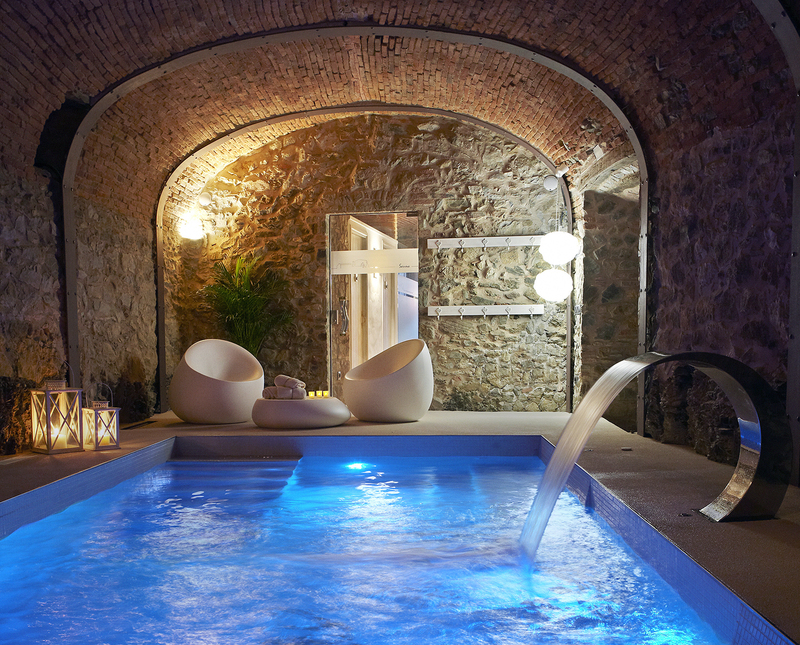 Microcement spa, overflowing and equipped with Conflent model automatic cover. 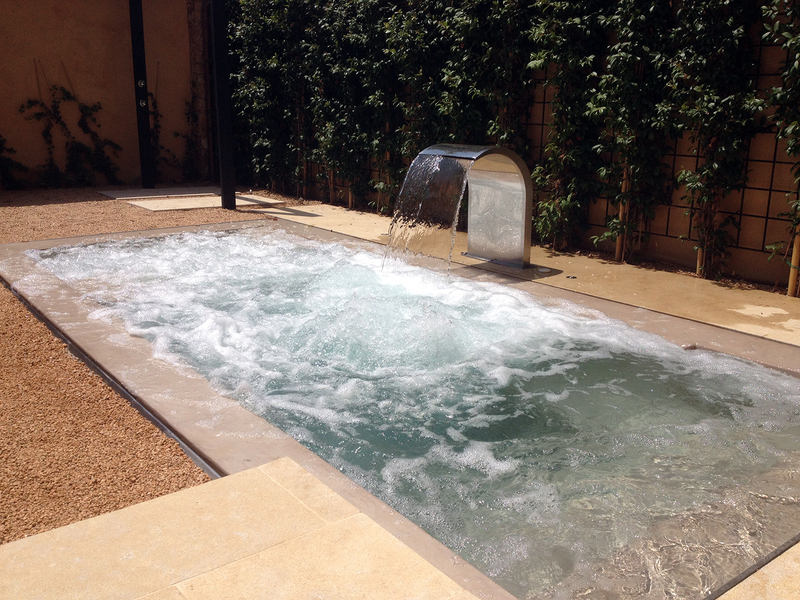 It also has a massage bench with jets and a One model waterfall. For water treatment it has a spa series DOM 6 salt system.